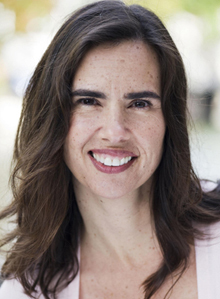 Kristin Neff, Associate Professor Human Development and Culture, Educational Psychology Department, University of Texas at Austin. Kristin studied communications as an undergraduate at the University of California at Los Angeles. She did her graduate work at University of California at Berkeley, studying moral development with Dr. Elliot Turiel. Her dissertation research was conducted in Mysore, India, where she examined children’s moral reasoning. She then spent two years of post-doctoral study with Dr. Susan Harter at Denver University, studying issues of authenticity and self-concept development. She is currently an Associate Professor at the University of Texas at Austin. During Kristin’s last year of graduate school she became interested in Buddhism, and has been practicing meditation in the Insight Meditation tradition ever since. While doing her post-doctoral work she decided to conduct research on self-compassion – a central construct in Buddhist psychology and one that had not yet been examined empirically. In addition to her pioneering research into self-compassion, she has developed an 8-week program to teach self-compassion skills. The program, co-created with her colleague Chris Germer, affiliated with Harvard Medical School, is called Mindful Self-Compassion. Her book, Self-Compassion, was published by William Morrow in April, 2011.